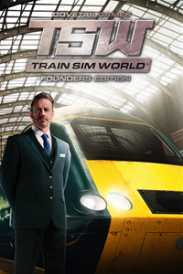 You will receive an e-mail alert when the price of Train Sim World® Digital Deluxe Edition will drop. CSX continues to employ a large fleet of veteran GP40-2s in road, local, and switching duties across its system. And, the successful Electro-Motive GP40-2, in classic CSX “YN2” and modern “YN3b” liveries, joins the GP38-2 as authentic motive power to move tonnage over the Northeast Corridor New York route!